In the late 70s italian architect, illustrator and industrial designer Luigi Serafini made a book, an encyclopedia of unknown, parallel world. it’s about 360-380 pages. it is written in an unknown language, using an unknown alphabet. it took him 30 month to complete that masterpiece that many might call “the strangest book on earth”. 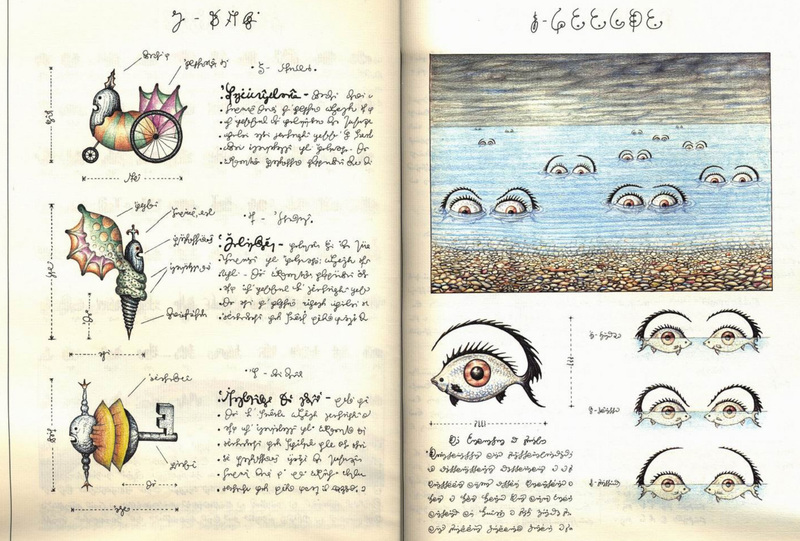 Codex Seraphinianus is divided to 11 chapters and two parts - first one is about nature and the second one is about people. 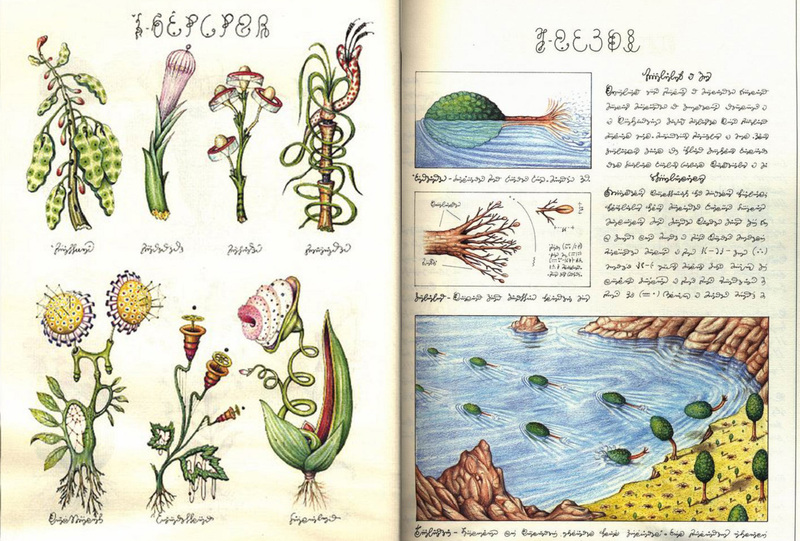 btw five hundred years ago there was another book somewhat like that - Voynich Manuscript. you can read about it in wikipedia. i ordered the book and it arrived. it is gigantic in size, thick and large. print, paper and binding quality is superb. they also insert a booklet - decodex, but it is in italian and i have not mastered that one yet.